Private guiding for us, is all about relationship. We have many clients who become good friends. We really enjoy private guiding, we build up our knowledge of what you like in the mountains and are able to make each day a great experience. We work hard to offer a professional yet flexible service where clients feel like individuals and whose needs are understood and met. A large number of our clients rebook time and again. Private guiding offers you flexibility and individual instruction. The only agenda is yours and we do our very best to offer you exactly what you hope for and more. What does the private guiding cover? 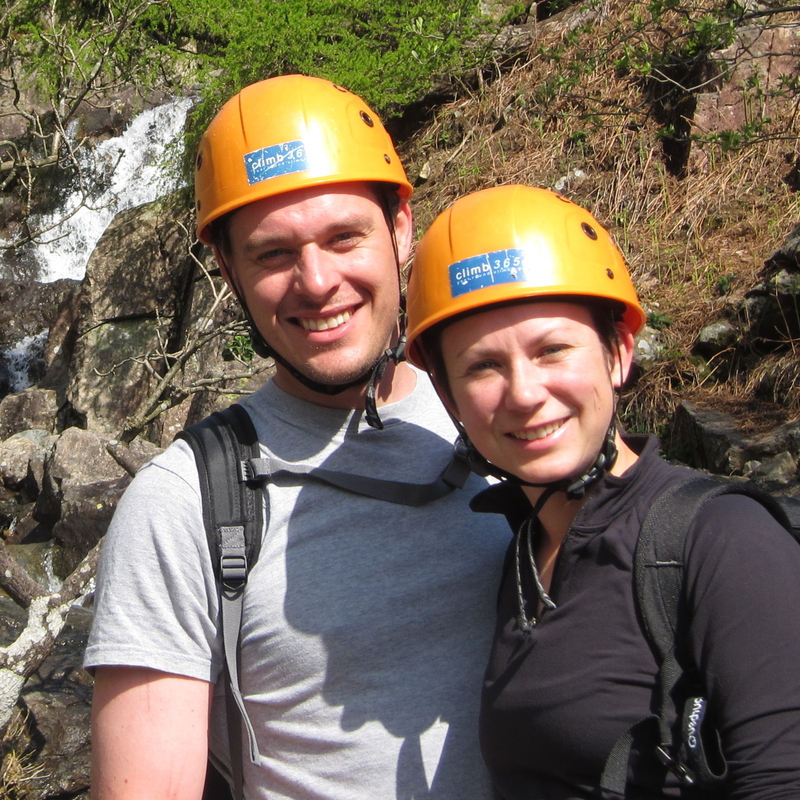 All of the activities shown on our website can be booked privately by individuals or groups. Please contact us to discuss what you would like to do. We charge per guide per day and group ratios depend upon the activity. What do I need to have done before? No previous mountain experience is needed. However many of our clients have routes in mind that they wish to climb. We can advise you on the level of ability that you will need and offer training and coaching to help you achieve this. Napes needle, you might want to do a day climbing in the valley first developing your movement skills. Or Tower ridge in winter conditions, you might start with some summer scrambling/climbing, then move onto some winter mountaineering followed by an ascent of the route. Climb 365 provides you with all the safety equipment you need which will vary depending on your activity. You will need to provide personal equipment like walking boots, rucksack, packed lunch, waterproofs. If you have any of your own equipment, it is a good idea to use that as you will always feel more comfortable with familiar equipment. Winter boots, crampons, axes etc. can be hired. We will email you kit lists and sort all the arrangements prior to your dates. Private guiding in winter for us is all about relationship. We have many clients who become good friends. We really enjoy guiding in winter, we offer private guiding both in the Lake District and Scotland. We build up our knowledge of what you like in the mountains and are able to make each day a great experience. Winter in the Lake District is beautiful and transforms this amazing national park into a winter wonderland. We love guiding in our home area. There are many great cliffs and mountains that become great winter venues. 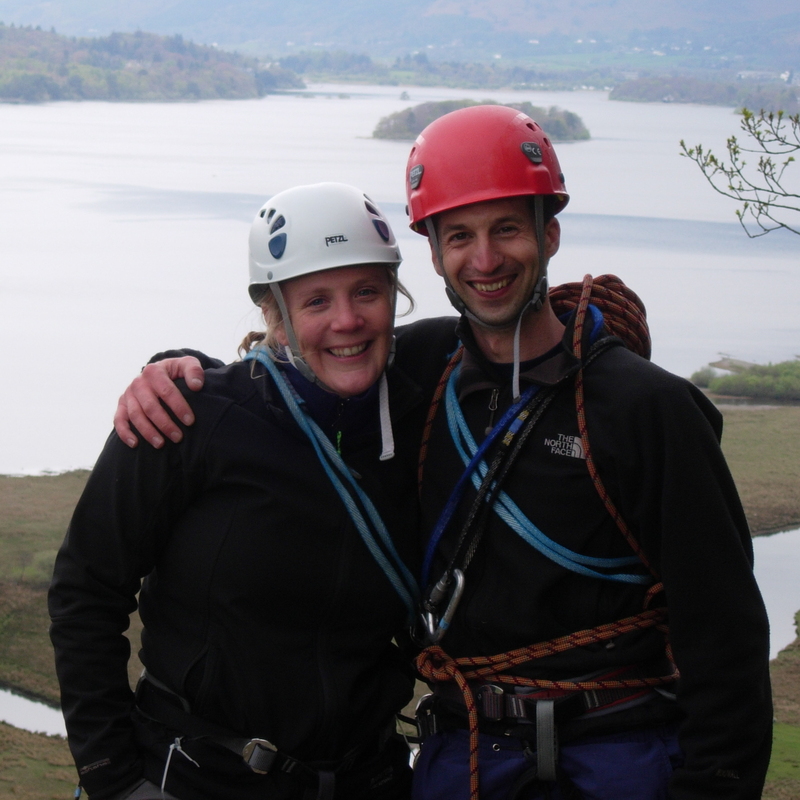 As well as guiding in the Lakes we often find ourselves offering private guiding in Scotland. We have guided in Scotland for over 20 yrs and have a huge knowledge base to pull from to make the most of your valuable time. We tend to focus our trips to Ben Nevis, Glencoe area in the West of Scotland and the Cairngorms over in the East. We have also guided around the stunning Torridon area too, which is simply breathtaking. Private guiding is always arranged through discussion with you about your aims and aspirations. We guide your plans and make suggestions for you based on our experience of what works well. Please email or call to get discussing ideas and options. You might have three days or a week and want to progress from being a keen summer walker/scrambler to a competent winter mountaineer. We can tailor a package and take you as far as you can go in the time you have available. Your time is all too valuable to mess around and so we run very client focused days giving you maximum opportunity to have good full days on the mountain. As we are not tied to a centre with all the faff of minibuses etc we can start our days early and make the most of the conditions and daylight. 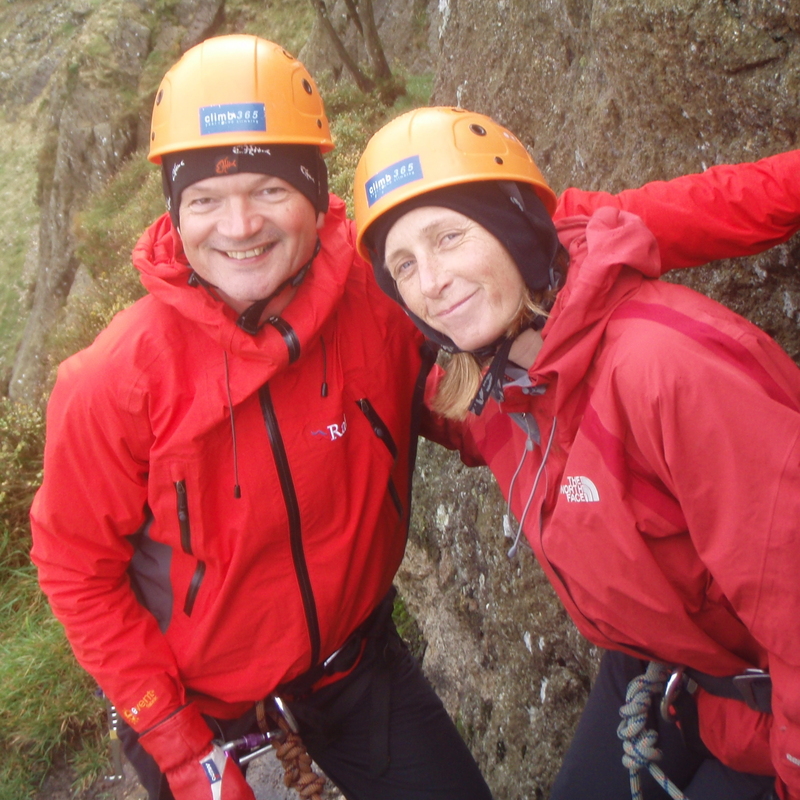 We can run any of our climbing courses or mountaineering courses as private guiding, using them as a base guide to some of the things we can cover. You can choose any dates that suit you. But perhaps not Christmas day? Even though we are called Climb365! Please give us a call or email us to discuss dates. The number of guides you will need will vary depending on your objectives for the day. Price is per guide per day. We can guide you on mountaineering terrain at a ratio of 1:3 max. For more technical terrain e.g. grade 4 scrambles or rock climbing the max ratio is 1:2. For e.g. 4 people wanting guided rock climbing. We would supply two guides at the 1:2 ratio. 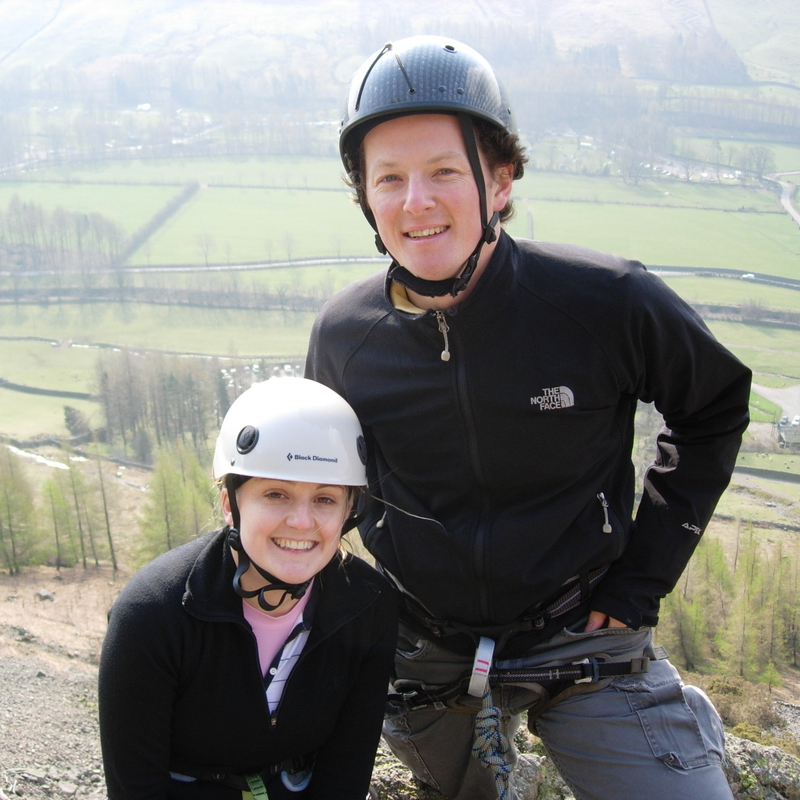 If you wish to book a half day please look at our adventure activities page. Choose an activity and get in touch. We are always happy to discuss your aims and aspirations so please get in touch. You can simply book online and fill in the booking form all in one go. We use world pay to make things safe and as easy as possible for you. Once you have booked online, you will receive a confirmation email for your booking with all the arrangements for your activity. If you are wanting to book an activity which starts within 48 hours of the booking date, please call us so that we can process your booking on the phone. This will ensure you don’t miss out and can have a great time on the activity. If you would like to email or chat please don’t hesitate to get in touch.